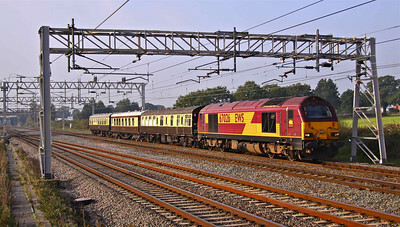 67001 speeds South past Eaton Lane foot crossing with 1Z44 08:24 Hull - Kings Cross ‘footex’, taking Hull fans to Wembley for the Championship play off final against Bristol City on 24/05/08. Hull won 1 - 0. 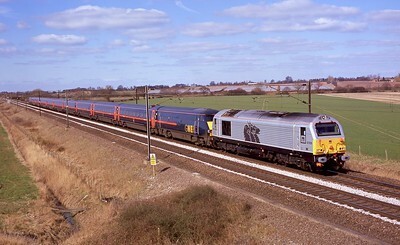 67002 'Special Delivery' hauls electric 91122 past Hambleton West with the diverted 1A23 10:32 Wakefield Westgate - Kings Cross. 24/04/10. 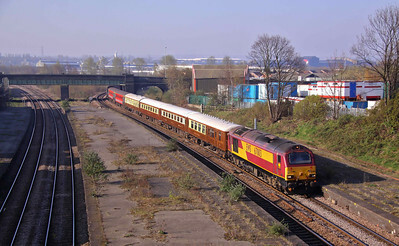 67003 passes through the disused platforms of the old Masbrough Station with 1Z67 07:00 Leicester - Carlisle charter. 17/04/10. 67003, Hasland, 0F54 13:42 Doncaster Belmont - Toton 04/09/16. 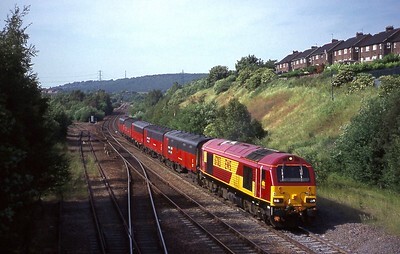 67005 'Queen's Messenger' and 67019 near the end of their long journey past Slitting Mill Crossing, with 5Z80 08:00 Millerhill - Barrow Hill empty stock move, 19/07/10. 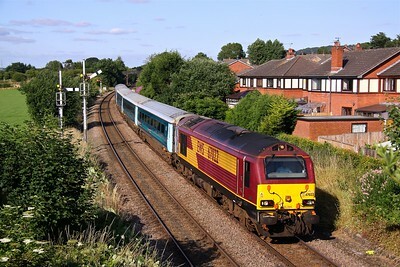 67005 'Queen's Messenger' takes passengers on the Northern Belle past Old Denaby, Mexborough. 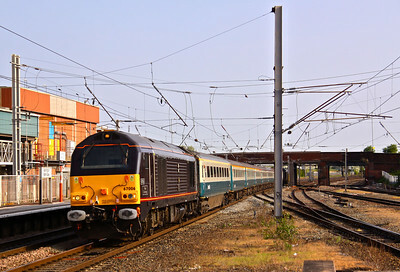 1Z79 07:01 Birmingham International - Harrogate. 24/04/10. 67005 ‘Queen’s Messenger’ passes Wadsley Bridge on the former Woodhead mainline with 1Z51 12:10 Deepcar - Hull, 28/12/13. 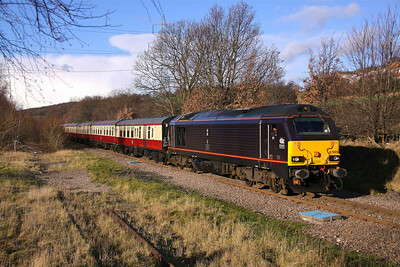 67006 ' Royal Sovereign' passes Winwick with 1Z60 11:37 Liverpool Lime St. - Crewe Northern Belle.17/12/10. 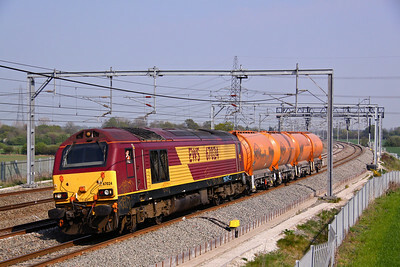 67006 hurries 1Z17 07:11 Blackpool North - Wembley Central 'footex' through Warrington Bank Quay, 22/05/10. 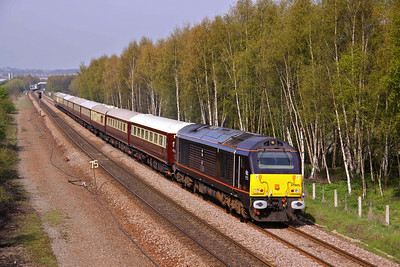 67006' Royal Sovereign' and 67017 'Arrow' pass Dwygyfyichi on the North Wales Coast, with 1Z51 07:00 London Euston - Bangor charter. 26/03/11. 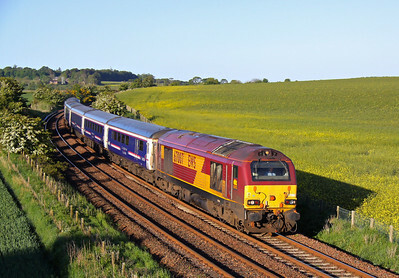 67007 at speed passing Cauldcots, between Arbroath and Montrose on a beautiful Spring morning while working 1A25 04:40 Edinburgh - Aberdeen Sleeper. 31/05/11. 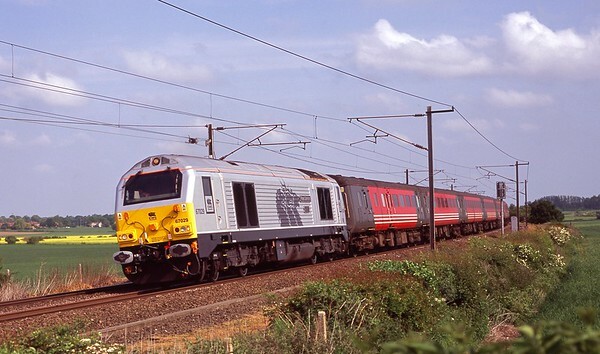 67009 slows to stop at Montrose station with 1A25 04:40 Edinburgh - Aberdeen sleeper portion on 02/06/06. 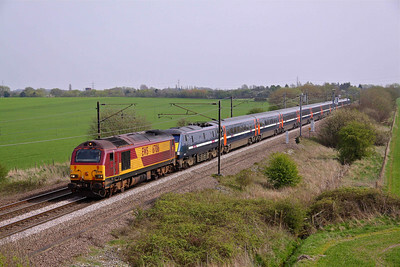 67016 drags electric 91127 past Burn, near Selby with 1D34 13:10 Kings Cross - Wakefield Westgate. 24/04/10. 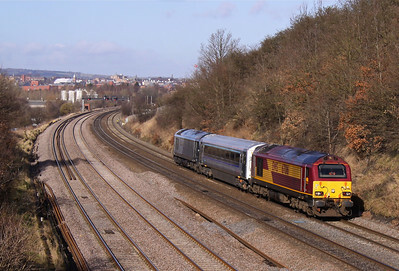 67016 sweeps past Hasland with 5Z01 Doncaster - Banbury, 15/02/13. 67018 ‘Rapid’ rounds the curve past Oakenshaw North Junction with Hertfordshire railtours ‘The Super Snipe” 1Z50 08:18 Kings Cross - Wakefield Kirkgate on 15/03/03. 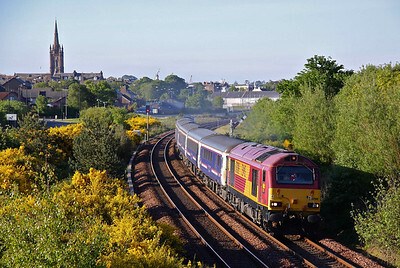 67019 accelerates away from Montrose after its booked stop, with 1A25 04:40 Edinburgh - Aberdeen Sleeper on 31/05/10. The skyline is dominated with the spire of Old and St Andrew's Church, A.K.A Old Kirk. 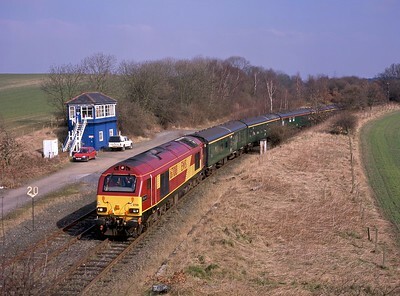 67019 passes the now demolished Usan signal box as it enters the single track section to Montrose South, with the 04:40 (1A25) Edinburgh - Aberdeen sleeper. 05/06/10. 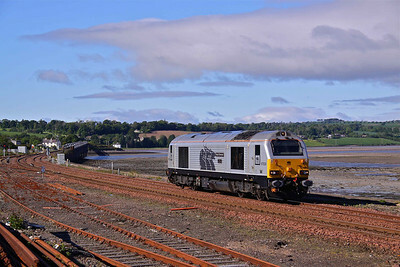 67019 slows for its booked stop at Montrose with 1A25 04:40 Edinburgh - Aberdeen sleeper. 31/05/10. 67021 starts its journey : 1E02 17:09 Chesterfield - London Victoria on 18/04/18. 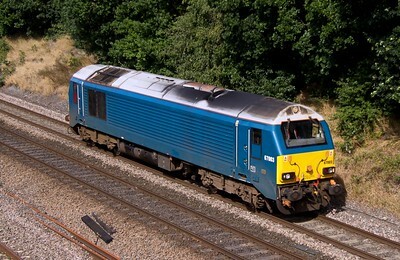 67022 slows to stop at Helsby Station with 1D31 16:50 Manchester Piccadilly - Llandudno on 15/07/15. 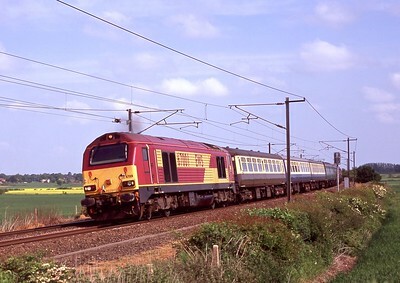 67024 and its train are framed perfectly between the catenary stantions as it works 6F11 14:02 Bletchley - Warrington Arpley, consisting of 4 RMC liveried PCA's, passing Lichfield. 20/04/11. 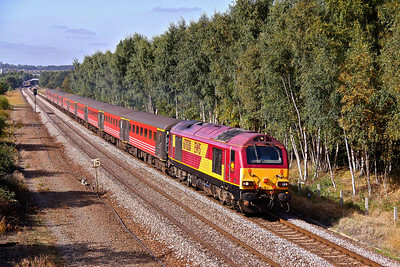 67026 passes Acton Bridge with 5Z09 15:45 Warrington - Crewe empty stock move, 13/10/10. 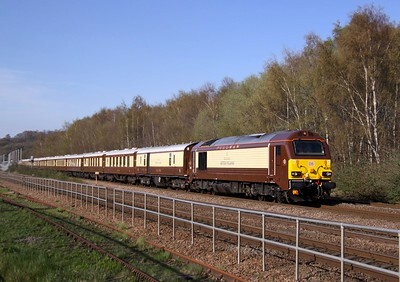 67029 'Royal Diamond' and matching DVT - 82146 pass Dore & Totley Station with 5Z08 14:46 Toton - Sheffield - Toton. 28/08/09. 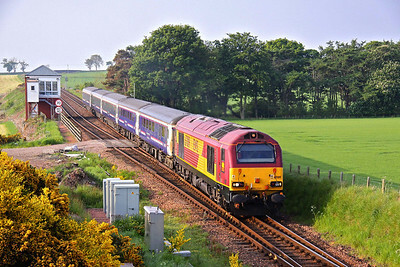 67029 'Royal Diamond' approaches Montrose Station with 0A31 05:52 Mossend - Aberdeen Waterloo, 02/06/11. 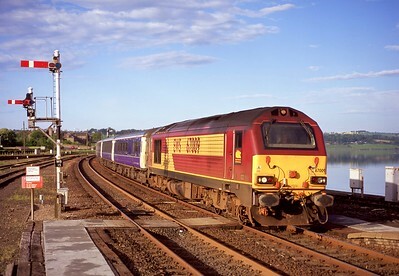 The joy of seeing the silver 'Skip' was short lived when it turned up light engine. 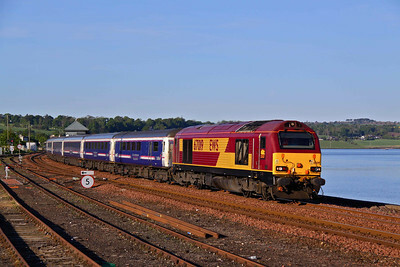 It was actually booked for 12 ICA's, i suppose it shows Montrose Basin off to good effect ! 67029 drags 5G08 12:55 York - Kings Cross empty GNER stock past Burn on 22/03/06. 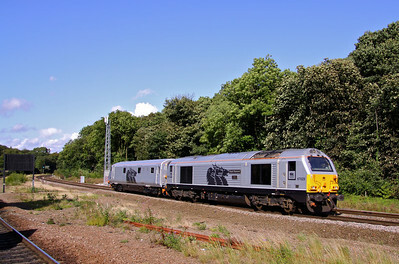 67029 ‘Royal Diamond’ leans into the curve at Eaton Lane with 1Z40 07:50 Hull - Kings Cross ‘footex’ on 24/05/08.